Hollybeary Creations : Designer Showcase with YNS! Hello everyone... It's Day 2 of our Designer Series Showcase at Your Next Stamp. This month we are celebrating The Smiley Happy Critters Sets. 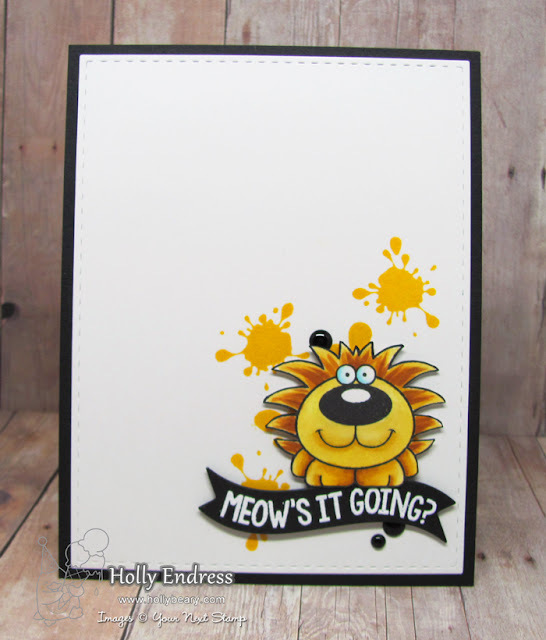 They have just been re-released as clear stamps with updated sentiments. 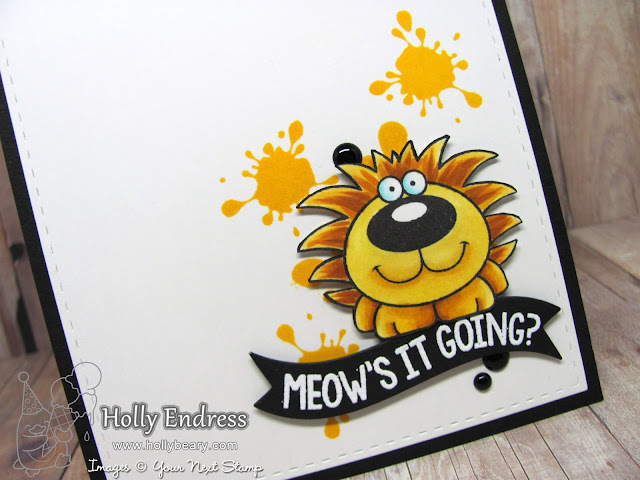 I'm using the Happy Smiley Critters Crew Two set and the fun Paint Splatters and Smooshes set. I created a background pattern in the lower corner of the panel using some YNS Sunflower ink and the splatter images from the set. Then I die cut the panel using the Large Stitched Rectangle die set. Then I adhered the panel to a Black card base. I stamped the lion image using YNS Black Olive ink on a piece of White card stock and colored it in with Copics. Then I fussy cut the image out and added some Black marker around the edges. 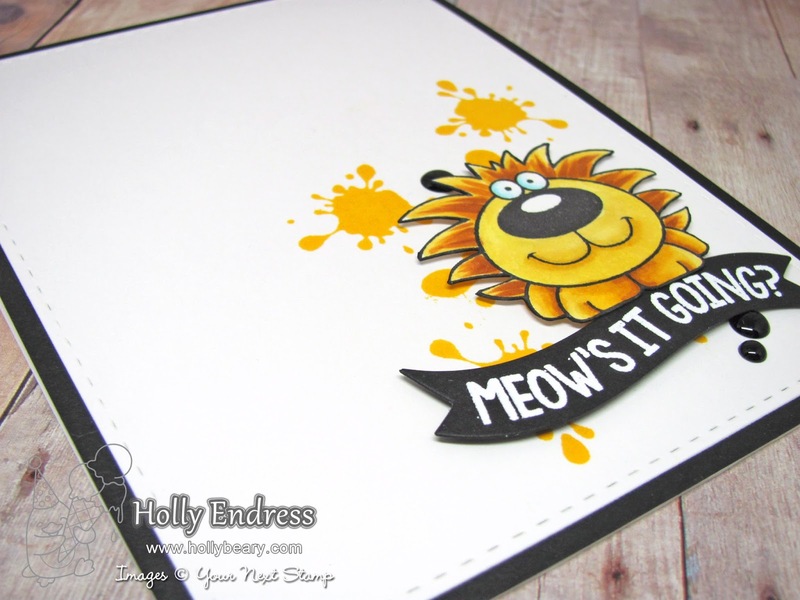 I stamped the sentiment onto a die cut Black banner from the Cool Tags Three die set . Then I heat embossed the image in White and adhered it over the splatters with some foam tape. I added some foam tape to the lion as well. I wanted some more Black so I added some Black Gumdrops for an extra pop! I really like how theses colors go together. Head over to the YNS Blog for more inspiration and leave a comment while you are there for a chance to Win a stamp set of your choice! Be sure to join us tomorrow for day 3 and another chance to WIN! LOL, love this Holly! Such a cute lion!